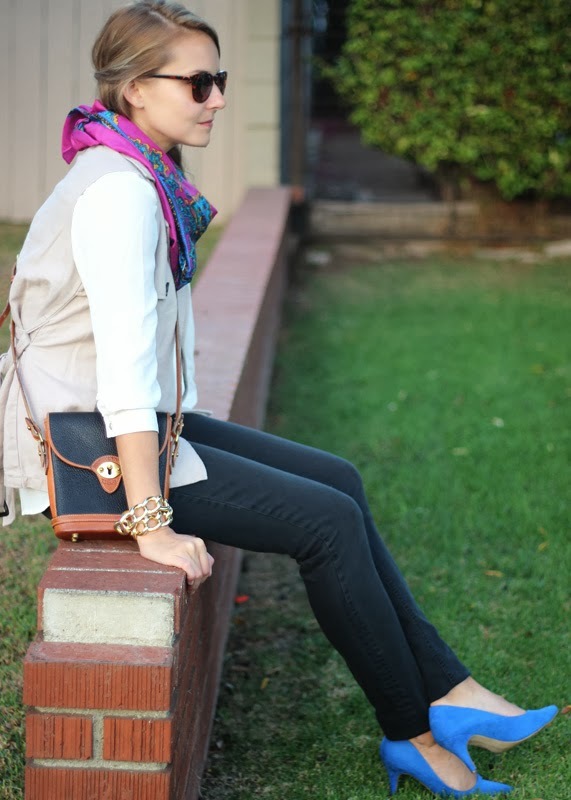 I love the pops of color, that scarf is so chic, the print and how you styled it, LOVE it! I like that you are wearing your trench vest again, this thing is so perfect for Cali! Happy Halloween love. 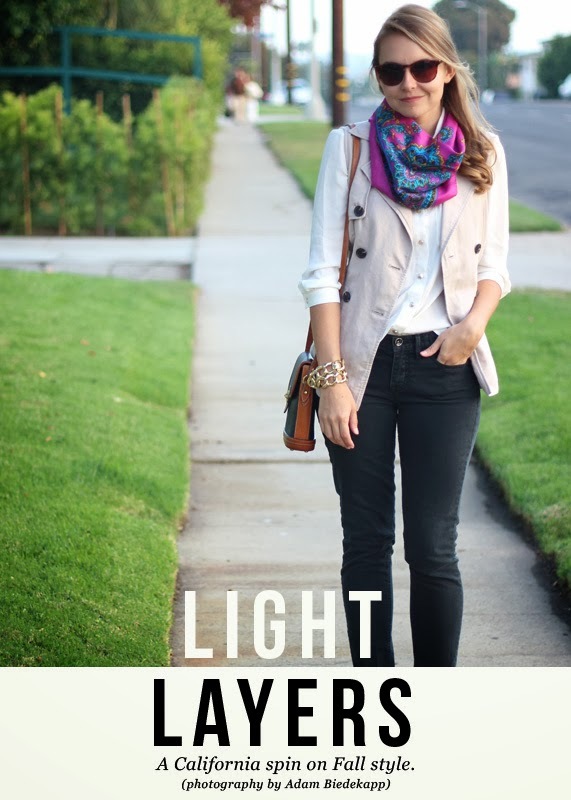 Love this look – great layering! Happy Halloween! 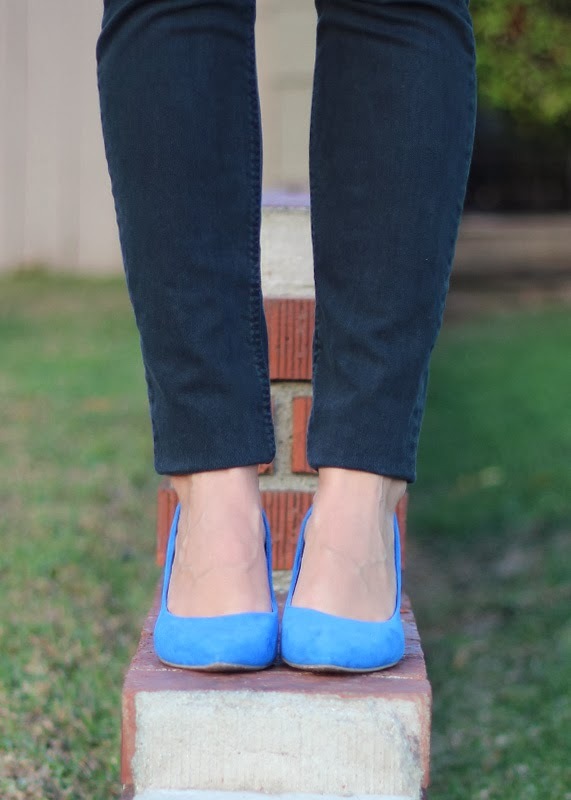 Loving those brightly coloured heels! Thanks Rebecca! 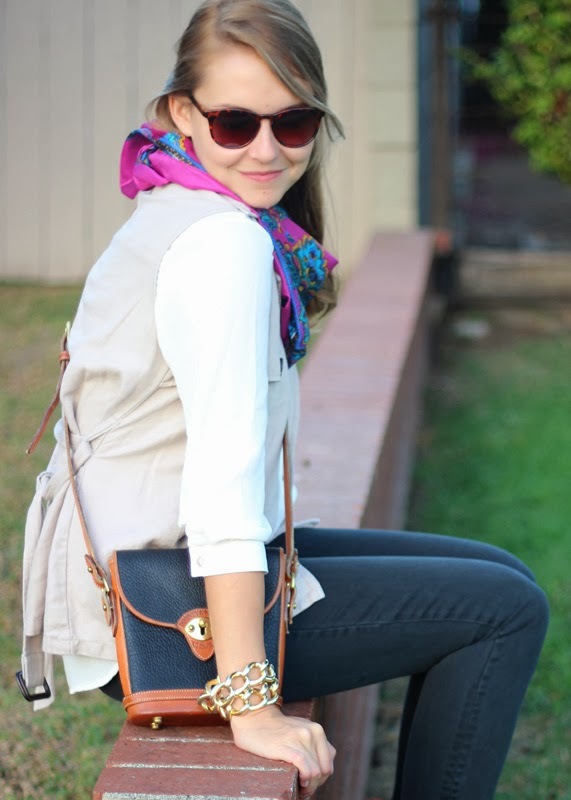 I never guessed how much wear I would have gotten out of them – but they go with everything!